Bollywood divas has always impressed us with her style and fashion. The unconventional and raw fashion taste of divas has always managed to catch our attention. Anarkali suits, Lehanga, gown and dresses are favourite Indian wear items of our Bollywood actresses. 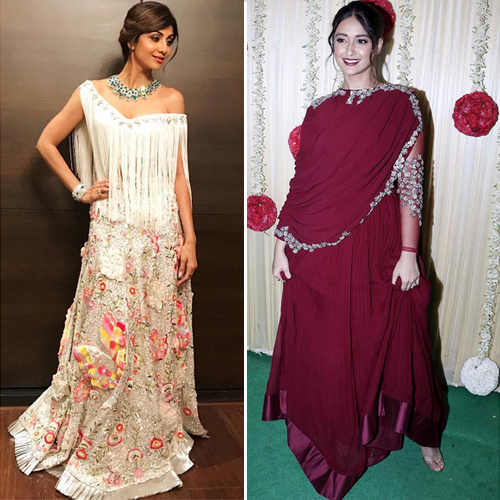 Check out the various stylish moments when Bollywood divas changed the fashion game with ease and comfort. Different looks of bollywood actress in Indian dresses with western touch.